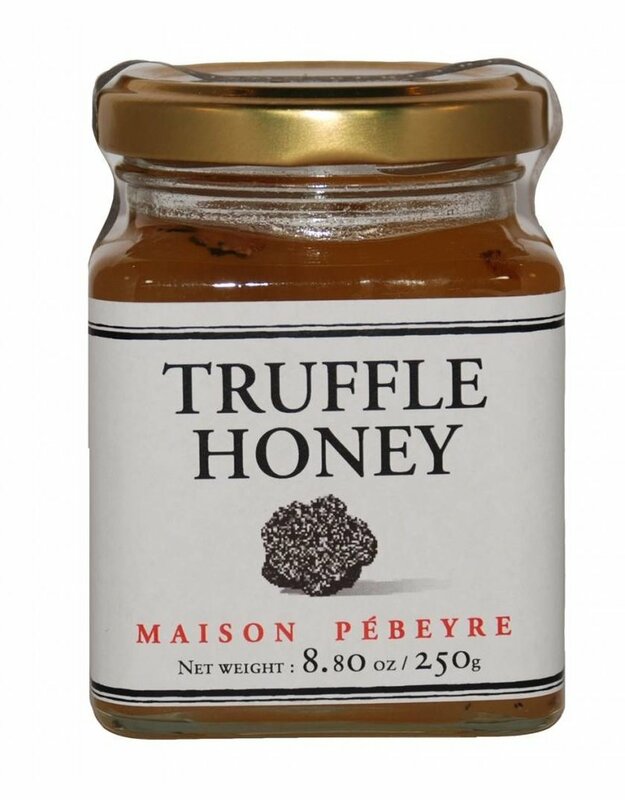 Maison Pebeyre Truffle Honey - Miam! This beautiful jar is filled with the most amazing truffle honey; you can see the peelings floating right in the jar! As soon as you open the jar, the room is filled with aroma of truffle. 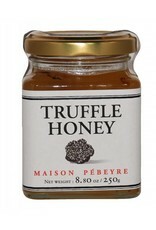 Truffle honey is best served on cheese or pastries, or it can be used to glaze a ham or turkey. I buy this consistently & am never disappointed.